Join us! FALLEN FRUIT PUBLIC PROJECTS At Manifesta 12 in Palermo Sicily! In exchange for drawing a self-portrait on a citrus fruit, get a glass of juice made from selected oranges, lemons, and mandarins from Palermo at Education Hub. >SATURDAY 16th, 11.00-13.00 Piazza Magione at the Education Hub. >SUNDAY 16th, 11.00-13.00 -Piazza Magione at the Education Hub. Join us! Try a Fruit Infused vodka with David and Young – sample a glass of artist made vodka infused with Prickly Pear or Hybrid Citrus. What does your city taste like? The selected fruit is a collaboration with ORTO BOTANICO and the vodka is provided by VKUSNAYA. In cambio del disegno di un autoritratto su un agrume, prendi un bicchiere di succo di arance selezionate, limoni e mandarini da Palermo a Education Hub. Prova una vodka alla frutta infusa con David e Young – assaggia un bicchiere di vodka fatta a mano con infuso di fico d’india o ibrido. Che sapore ha la tua città? 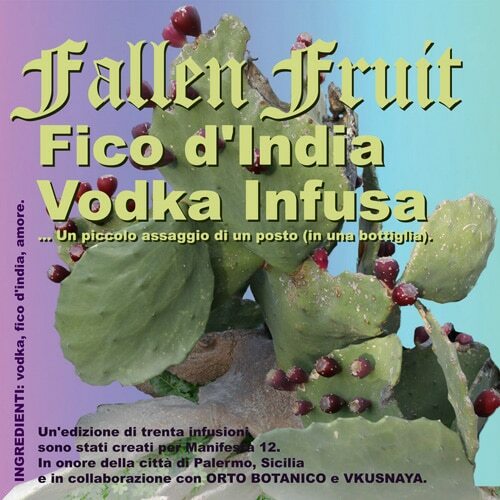 Il frutto selezionato è una collaborazione con ORTO BOTANICO e la vodka è fornita da VKUSNAYA. ART AND FRUIT LOVERS!! 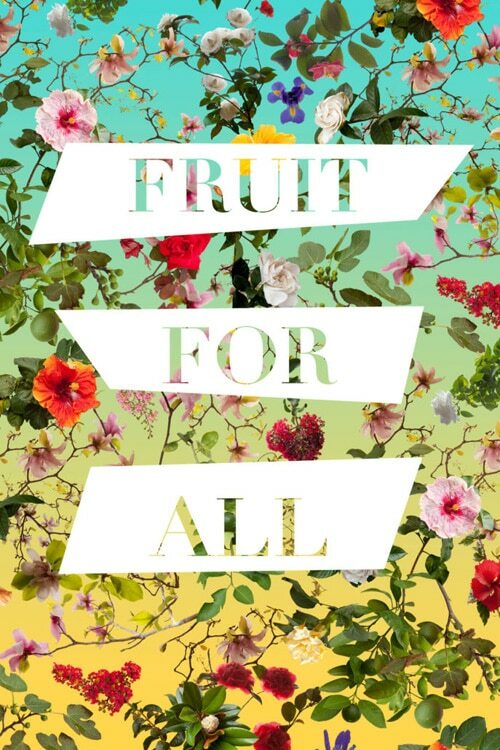 Come celebrate FALLEN FRUIT OF NEW ORLEANS with us! Fallen Fruit, Pelican Bomb, A Studio in the Woods, Newcomb Art Museum and the New Orleans Center for the Gulf South’s Rosenthal Blumenfeld Gulf South Foodways Program will FRUIT FOR ALL! featuring FRUIT Magazine – a collaborative Zine, Public Fruit Map Bandana tie-dye Workshop, Fallen Fruit’s Lemonade Stand, roving archivist tours of our art installation, EMPIRE, a fruit-themed DJ, food trucks, cotton candy, and so much more! 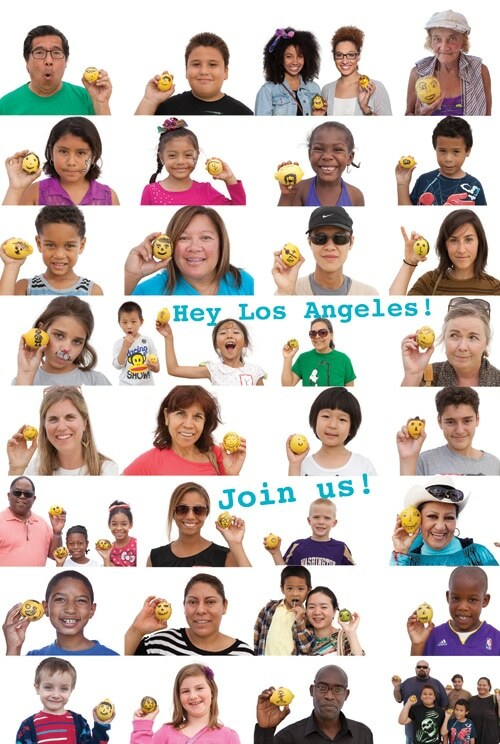 Free and open to the public, art and fruit lovers are invited to come join in on the fun! Questions? Email museum@tulane.edu. 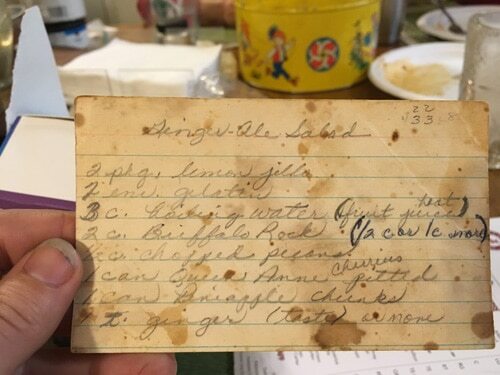 If you live in New Orleans, Fallen Fruit invites you to bring family recipes to include in FRUIT MAGAZINE- NEW ORLEANS EDITION! also join us for LEMONADE STAND, and our Public Fruit Map Bandana Tie-Dye Workshop! The Bandana will be a map to the 300 fruit trees we planted with neighbors, CSED and New Orleans Parks and Parkways for Fallen Fruit of New Orleans! To celebrate the opening of EMPIRE, Newcomb Art Museum hosts a reception on Friday, April 13. Burns and Young give a talk at 6:30 pm, followed by a public reception 7:30–9:00 pm. EMPIRE is part of “Fallen Fruit of New Orleans” a suite of site-specific projects taking place throughout New Orleans from June 2017 through June 2018, commissioned and presented by Pelican Bomb, A Studio in the Woods, and Newcomb Art Museum. “Fallen Fruit of New Orleans” was initiated by Pelican Bomb in 2015. “Lemonade Stand!” A public participatory project by Fallen Fruit (David Burns & Austin Young) at Sites Unseen in San Francisco at Moscone Center Garage. We also planted fruit trees in Rainbow colored barrels for everyone to share. Thank you United Playaz for helping us plant! “Lemonade Stand”, a public participatory artwork by Fallen Fruit exploring ideas of temporary community and new forms of public. During this special presentation on the steps of Central Library, draw a self-portrait onto a lemon and receive a glass of organic lemonade. The lemon self-portraits will collectively form a group portrait of everyone who participated, illustrating some of the archetypes that construct community. “when life gives you lemons…” Sites Unseen at Moscone Center Garage at 255 Third Street in downtown San Francisco’s Yerba Buena neighborhood. Presented in association with To Live and Dine in L.A. at Los Angeles Public Library. Presented in association with To Live and Dine in L.A. Lemonade Stand and Public Fruit Tree planting! Join us! Feast: Radical Hospitality in Contemporary Art is organized by the Smart Museum of Art, The University of Chicago. The exhibition is curated by Stephanie Smith, former Smart Museum Deputy Director and Chief Curator.